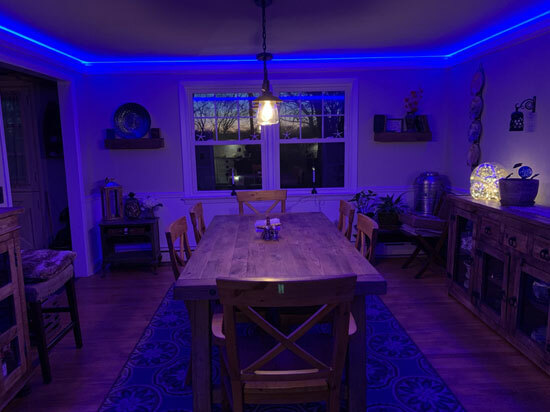 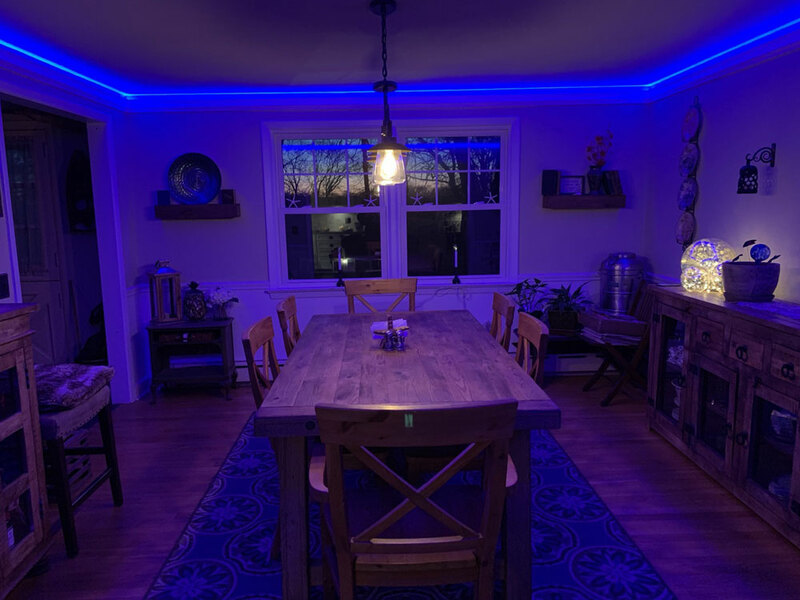 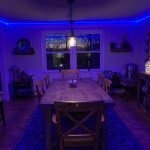 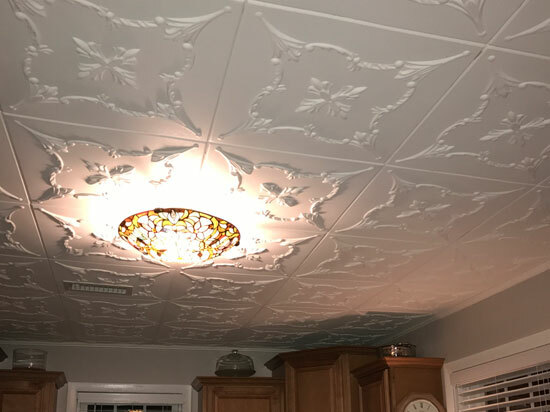 "Very happy with the outcome and very easy to install!" 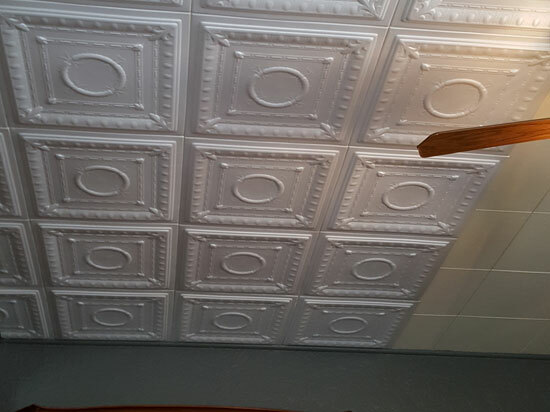 "I have 9’ ceilings and purchased a box of 4 1/2” crown. 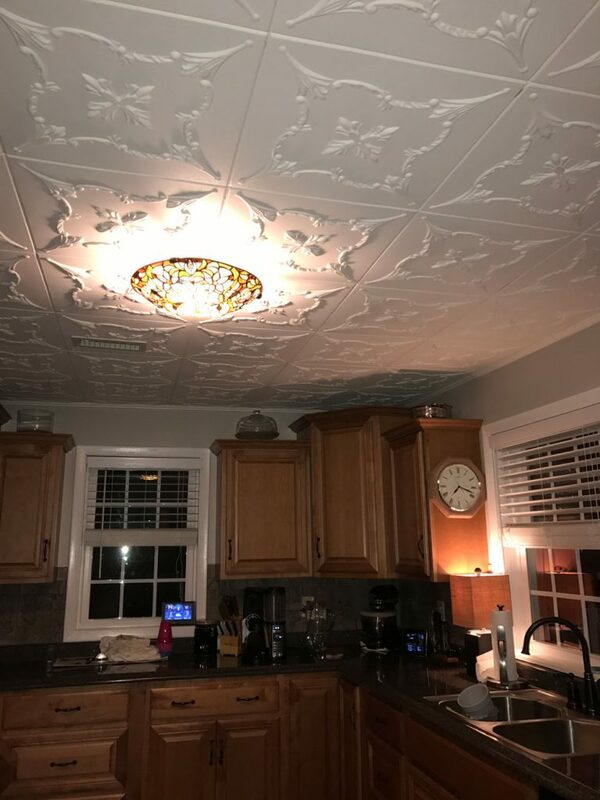 Followed the installation instructions posted on Utube. 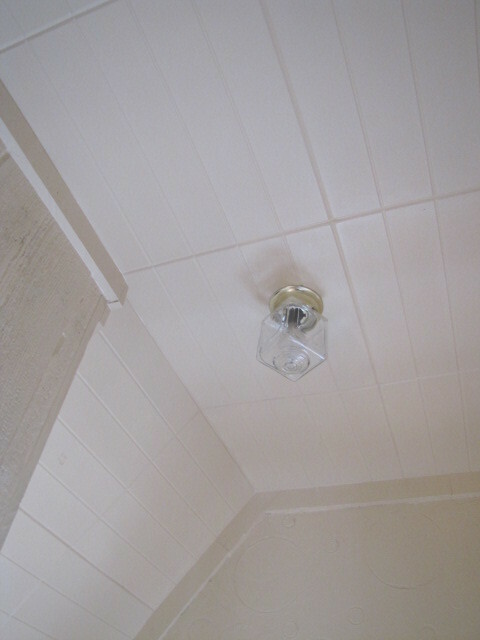 I painted the moulding with 2 coats of paint and the seams are almost invisible. 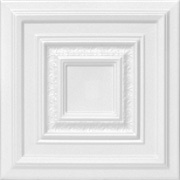 Your going to need a 12” miter saw to make good cuts on the 4 1/2” crown. 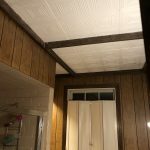 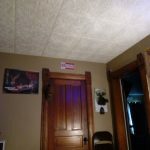 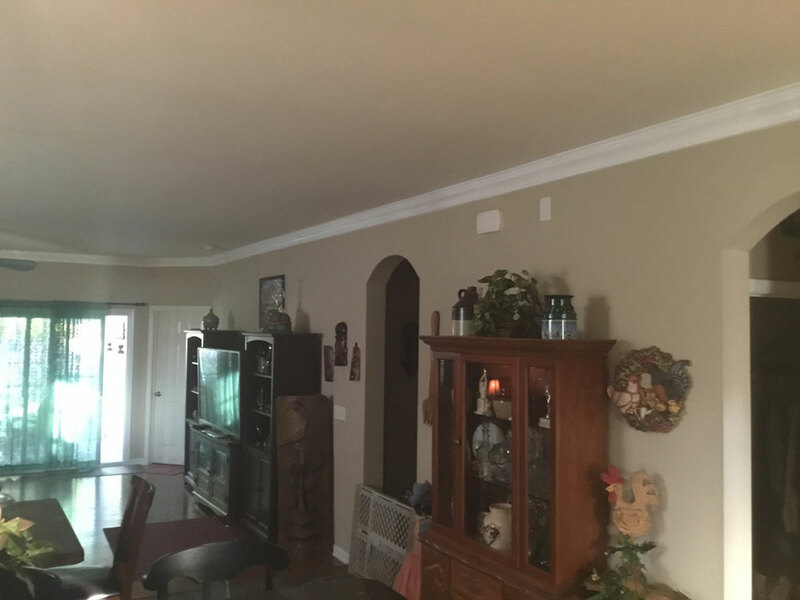 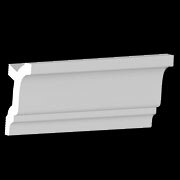 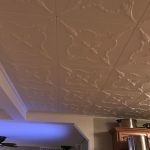 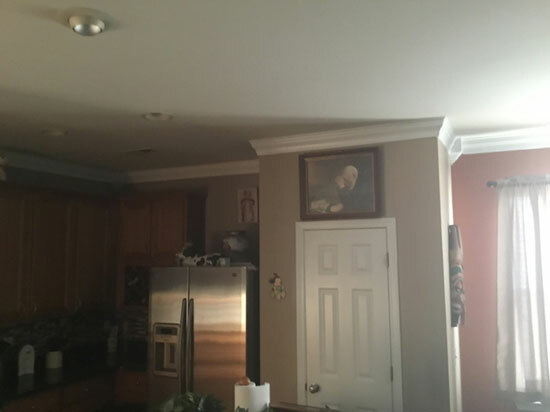 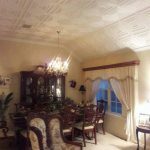 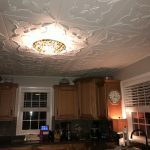 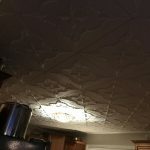 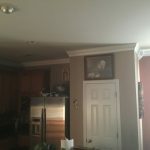 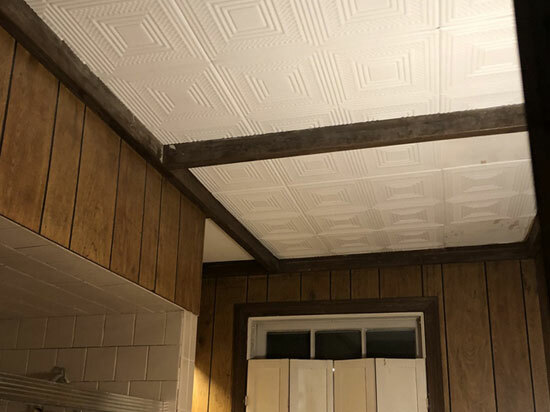 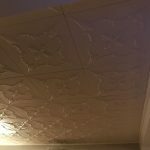 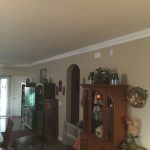 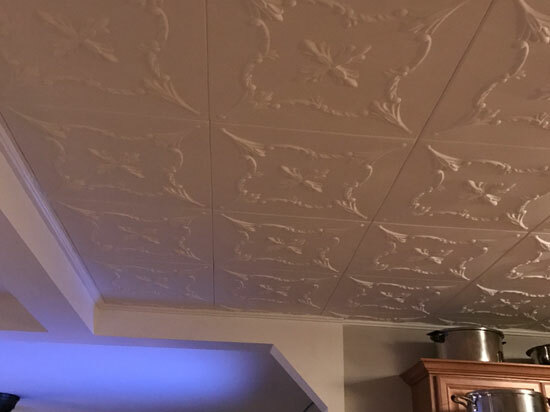 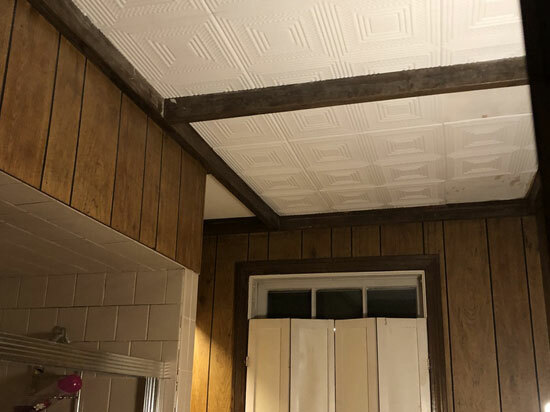 I have never before put up crown molding, after watching installation videos I found it very easy"
"We are wildly happy with the results we acheived using these tiles!" 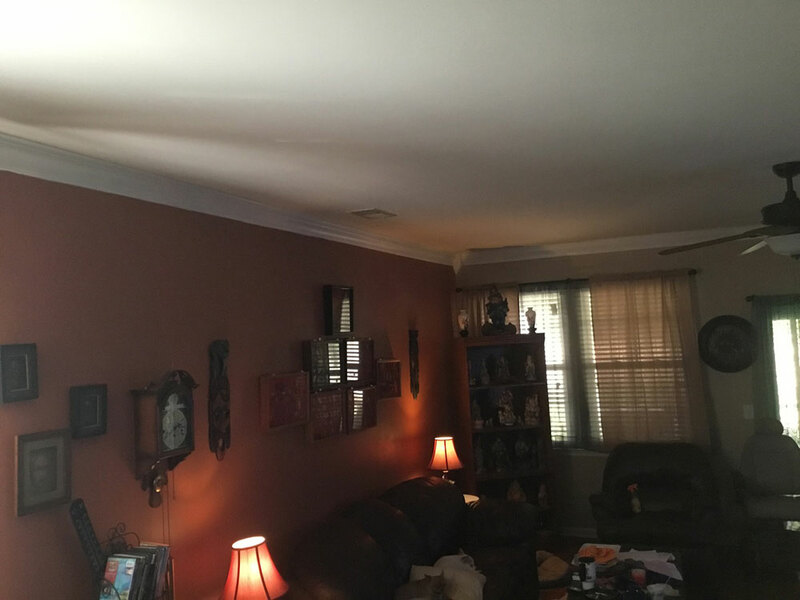 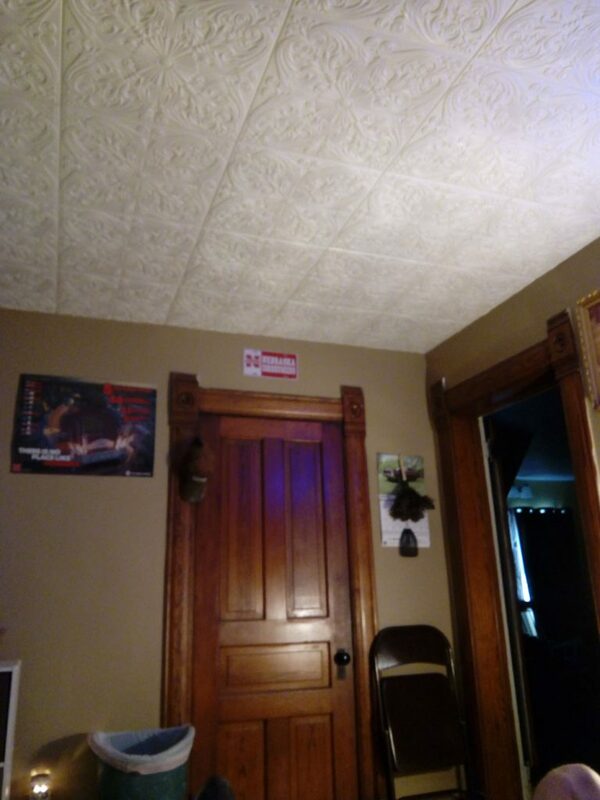 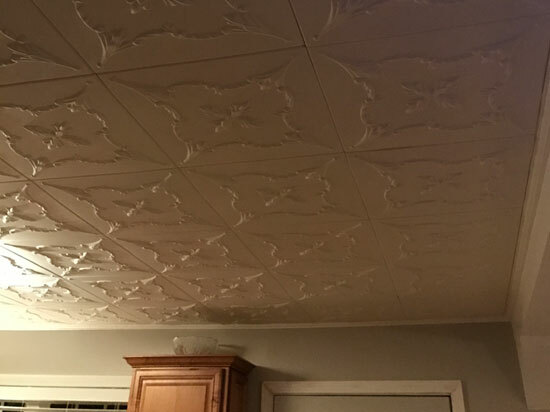 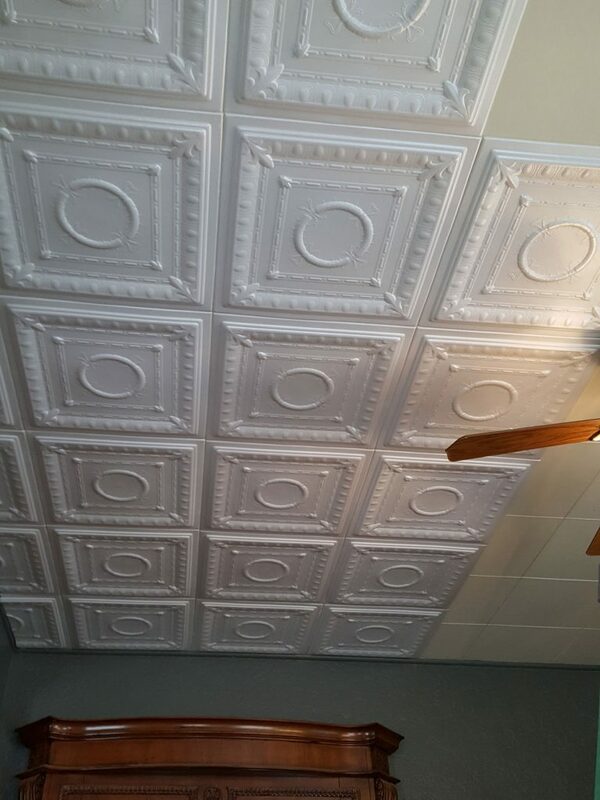 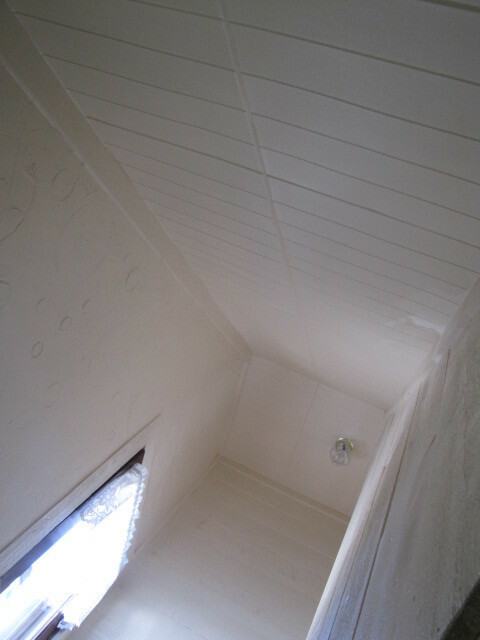 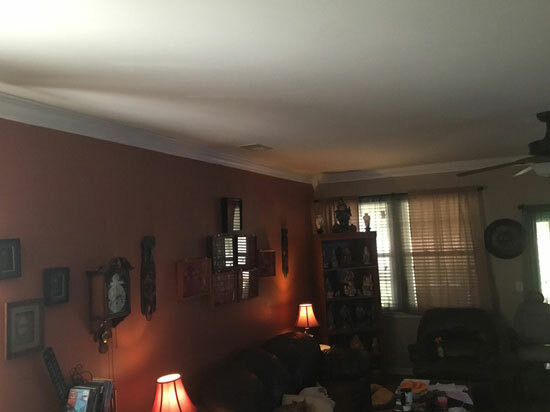 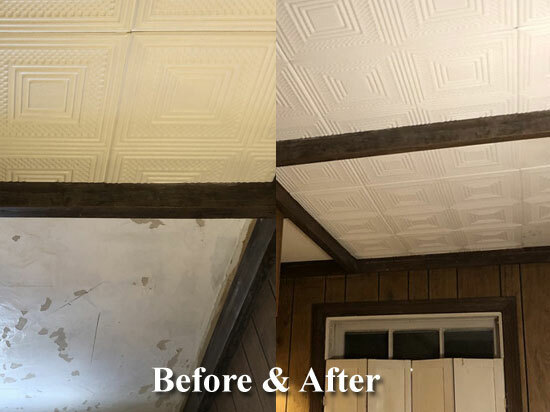 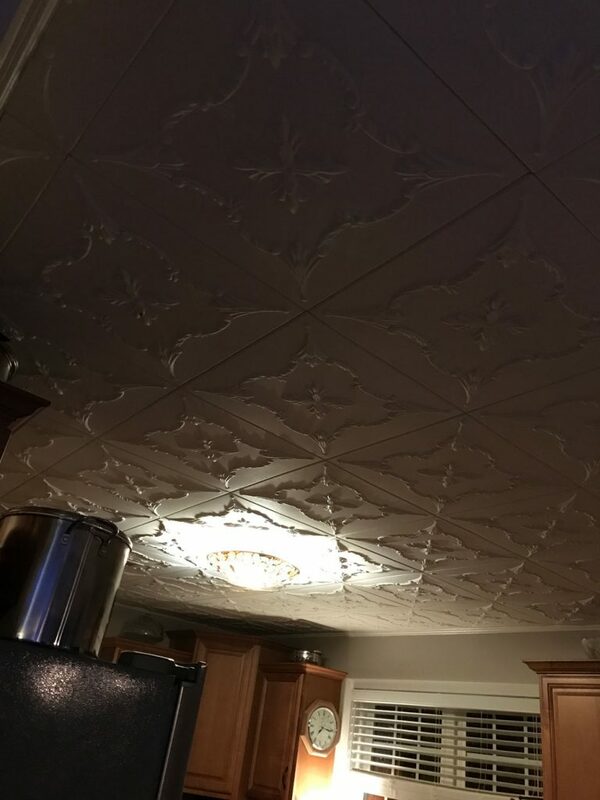 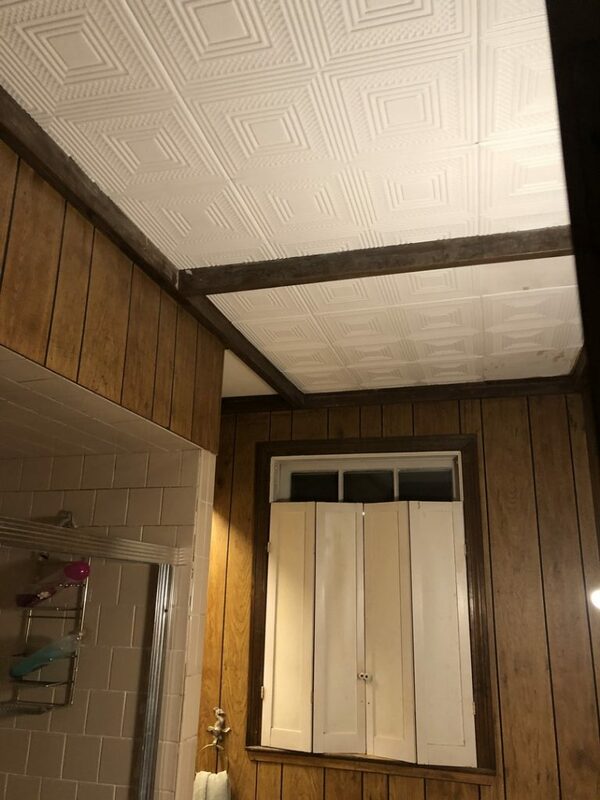 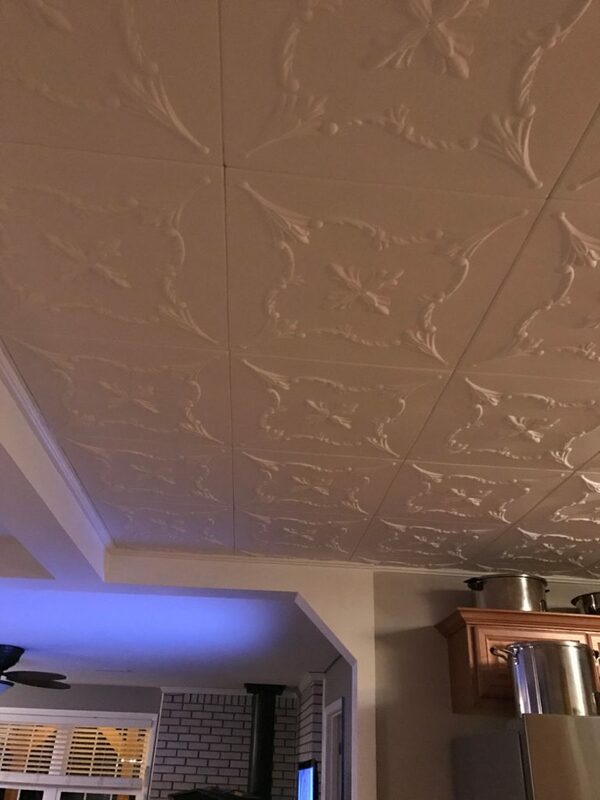 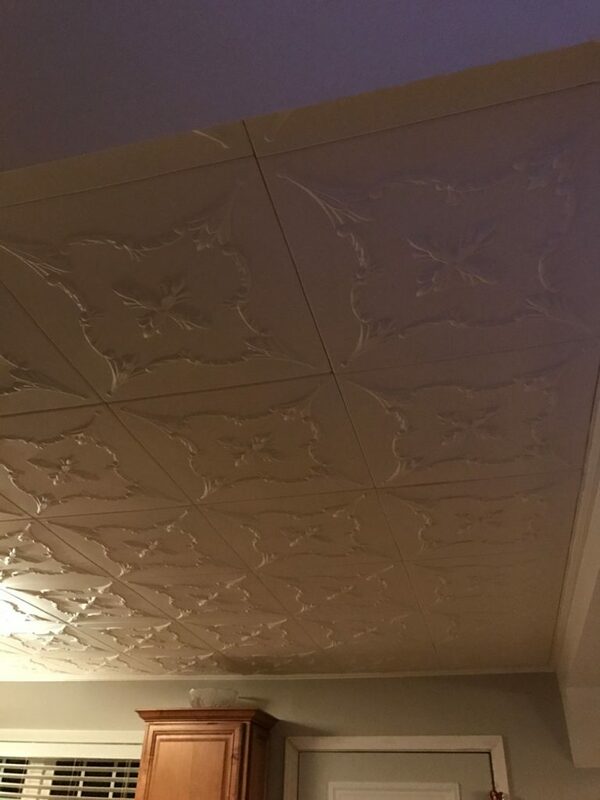 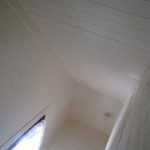 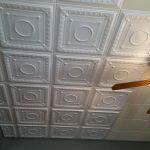 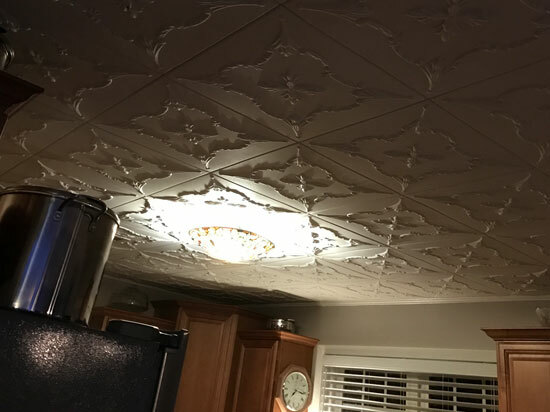 "Super easy way to cover a problem ceiling. 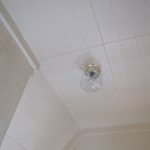 Love them!" 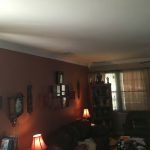 "Easy site with good value products. 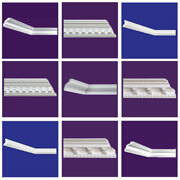 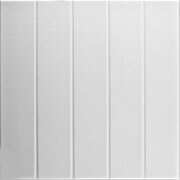 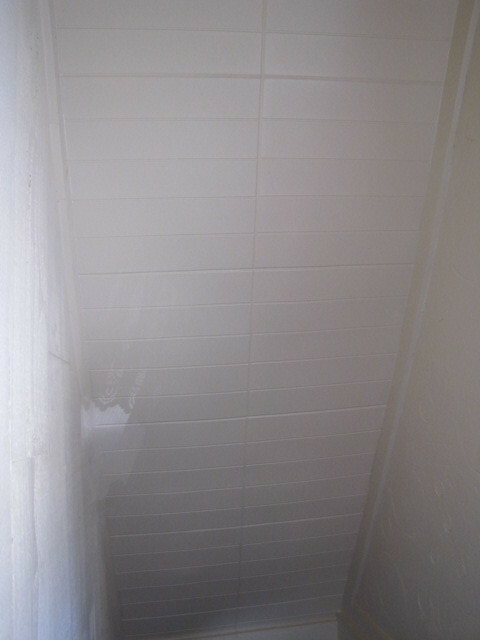 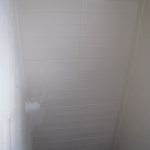 Once the product arrived EVERY TILE was in good usable condition. 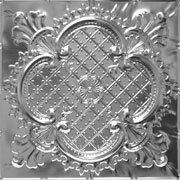 I will order from you again and again." 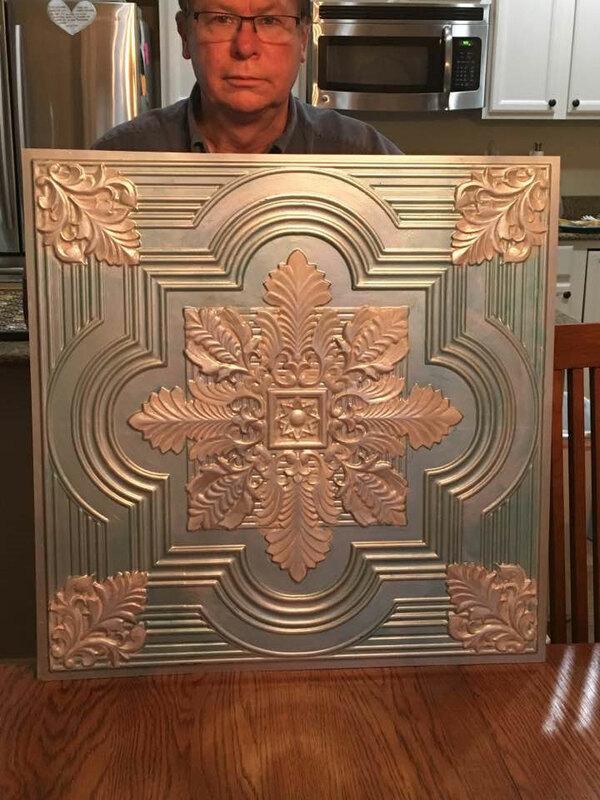 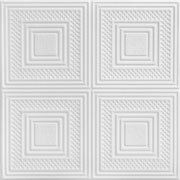 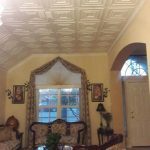 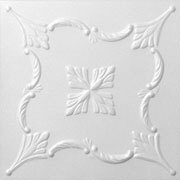 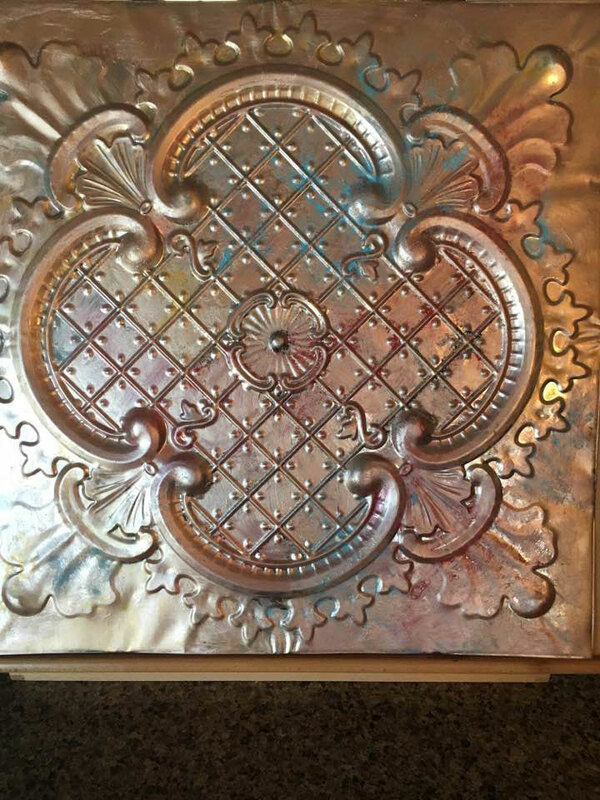 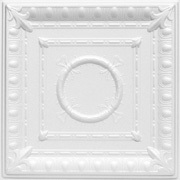 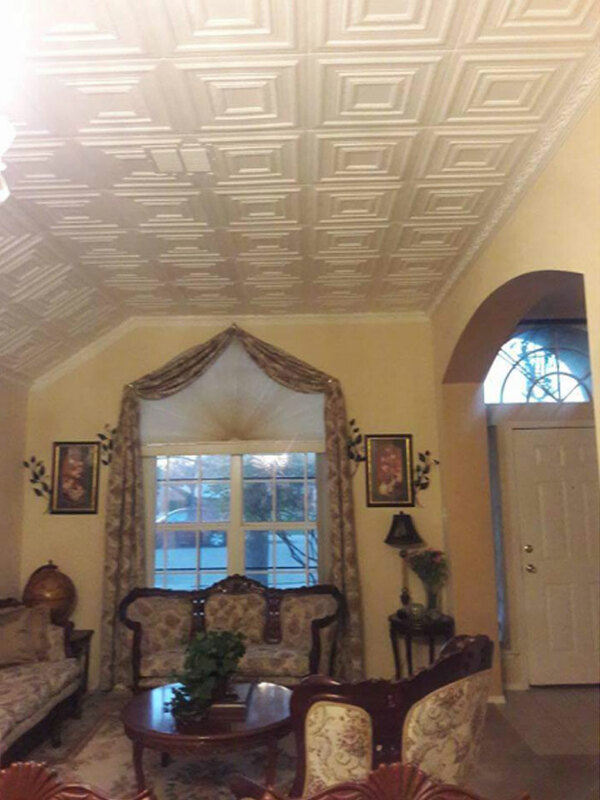 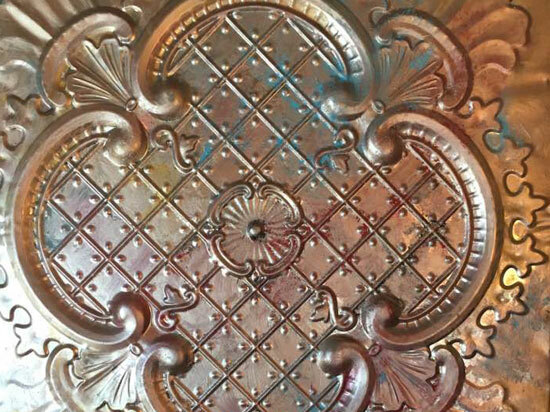 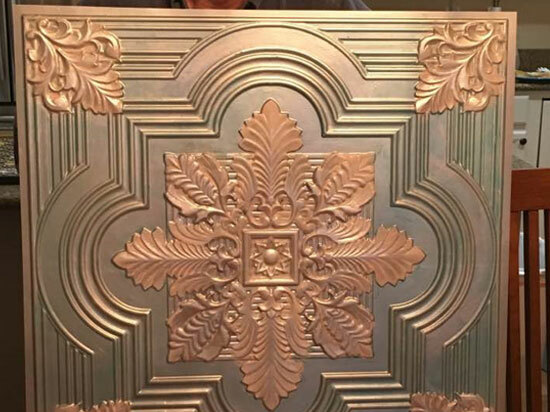 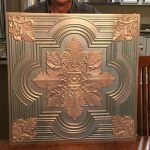 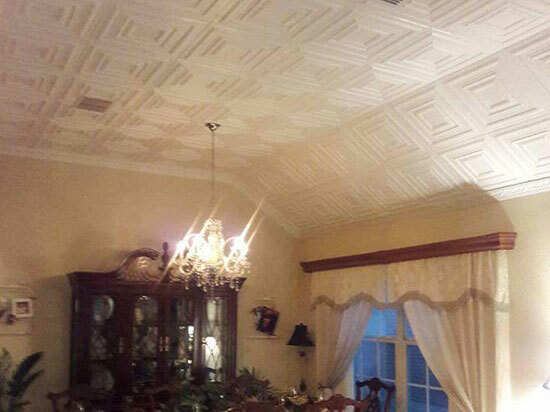 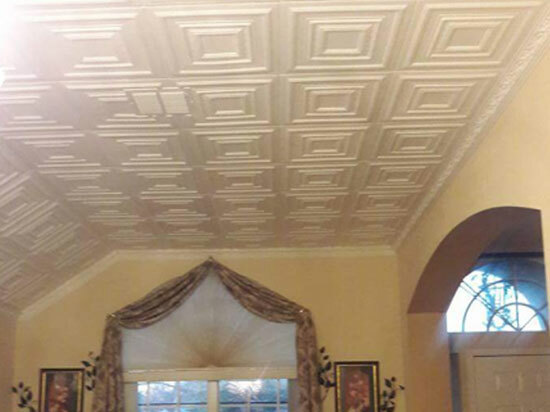 24" x 24" 24" x 48"
As handsome as the courageous and chivalrous knight after whom they are named, our skillfully engraved SH500 Lancelot Shanko decorative ceiling tile is the perfect decoration to create the most beautiful ceilings, walls, or photo backdrops. 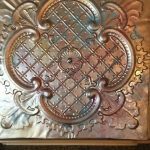 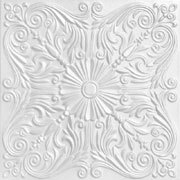 This highly decorative tile features a large medallion filled with a beautiful latticework design and a central tiny four-petaled floral motif, topped off by feathery plumes of fleurs-de-lis in each corner. 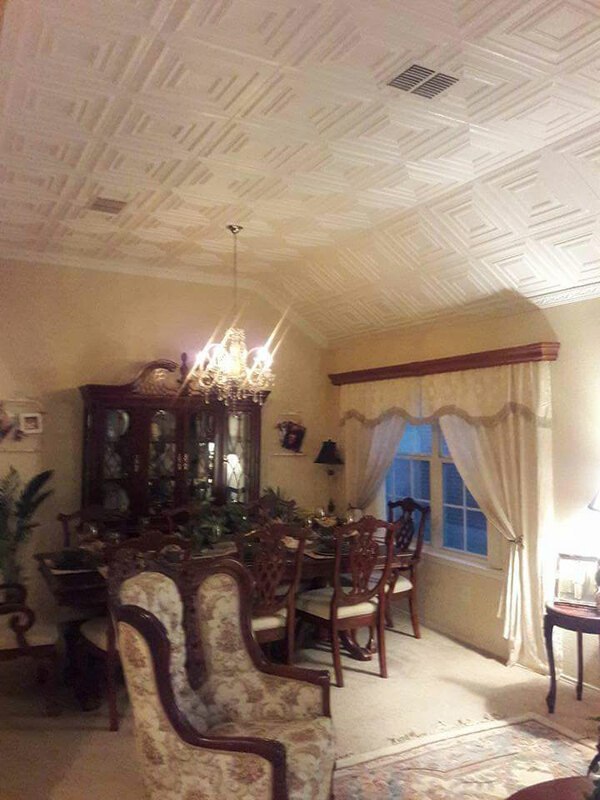 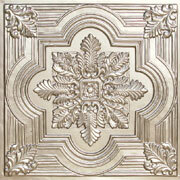 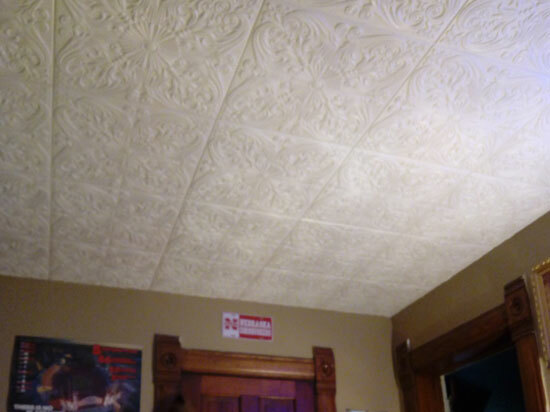 The SH500 Lancelot Shanko decorative ceiling tile will create a room fit for a king—or knight!